Michael Bloomberg has pledged $4.5 million towards the Paris Deal that the United States withdrew from the deal that aims to prevent, or at the very least slowdown, the effects of climate change due to human activity. The former New York Mayor believes that it is part of his responsibility to help this deal succeed and help the environment after President Donald Trump removed the United States from the Deal. He is not alone in this commitment as members from the US Conference of Mayors openly made their opposition to the deal known. At city levels, 57 signatories signed the Chicago Climate Charter (CCC) to continue and uphold US environmental goals that existed under Obama. This would mean that these cities would in effect be adhering to the guidelines of the Paris Agreement. 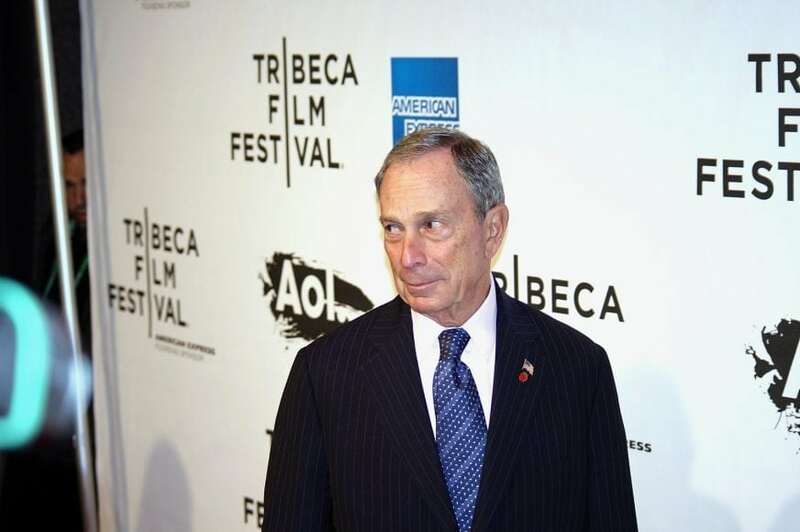 Bloomberg’s donation is on top of the $15 million that his foundation gave last year as a nationally determined contribution (NDC) towards the agreement in place of the US government. The United States has until about 2020 to change its mind as that is when the earliest withdrawal will occur. The majority of the US supports the agreement and wishes to be part of the deal, so it remains to be seen if the government will change its mind and agree with its people. Bloomberg believes that Trump should change his mind because the US is a major contributor of greenhouse gases that are contributing to climate change. The US contributes about 15% of global greenhouse gas emissions. This represents a 90% increase in emissions since the 1970s largely due to fossil fuels and industrial processes. Because we are part of the problem, Bloomberg and many others believe that we should be part of the solution. The United States, along with 187 other countries, signed the Paris Agreement in December 2015 in the hopes of stopping the planet from warming any more than 1.5°C (2.7°F) above pre-industrial levels. At the time, the Obama Administration pledged to reduce greenhouse gas emissions by up to 28% by 2025. This would be done by pushing many environmental sound initiatives as well as committing to NDCs. As part of the deal, the agreement will work towards strengthening the ability of countries to deal with climate change directly. These goals will be supported by financial contributions, improved technology framework, and support to the developing countries as well as those countries most vulnerable to climate change. As with any new agreements, there are always some concerns that need to be addressed. One of the biggest concerns for the Paris agreement is that it is not doing enough with its goals. A study published in June 2016 found that the current pledges by the countries are not enough to meet the goal of keeping global temperatures below pre-industrial levels. Another study in August 2017 found that the industrialized countries were failing to meet their pledges, which were already insufficient based on the previous study. This is largely due to a lack of policies being implemented towards meeting these goals. Overall, the goals of the agreement are ambitious and would be a great boon towards fighting climate change, but countries are not doing enough. While their current efforts will help reduce global temperatures, it will not meet the goal. Another concern about the agreement is that it does not have binding enforcement mechanisms in it. The Paris Agreement is filled with goals, promises, and voluntary actions because there are no firm binding rules that would force any country to adhere to the goals. The agreement relies on the voluntary actions of the countries towards reducing their emission rates and enact policies to further reduce global temperatures. One of the final concerns that were brought up was the role of the governments. World Pensions Council Director-General Nicolas J. Firzli believes that the governments will have limited actions because they can only pass legislation. The real efforts will come from the private sectors as many major companies will also have to decide if they want to comply with anything in the Paris Agreement. In June 2017, President Trump announced that the US would withdraw from the Paris Agreement because he felt it was a “bad deal” for the American people. He says that he is open to negotiations to create a better deal for the US so it remains possible that the US will not withdraw from the agreement. The decision to withdraw was met with resistance as 71% of people in the US supported the agreement. Also, hundreds of colleges, thousands of companies (including fossil-fuel giants), and the majority of cities and states are against the withdrawal of the agreement. This withdrawal has prompted many of these cities and companies to launch initiatives of their own towards reducing the greenhouse gas emissions of the United States as the government fails to do so. The United States Climate Alliance represents a collection of states and US territories that have committed to working on reducing greenhouse gas emissions in lieu of the federal government. The alliance of 17 members includes about 40.66% of the US population and 46.46% of its GDP. These members aim to continue the efforts to reduce greenhouse gas emissions by 26-28%. While work continues on towards achieving the Paris Agreement, it must be willing and open towards addressing the concerns that have been brought forth against it so that it can effectively achieve its goal of fighting climate change. President Emmanuel Macron from France has visited the United States to affirm the commitment of the Paris Agreement and remains hopeful that the United States will one day join the Paris agreement in their efforts. Speaking to Congress, he highlighted the urgency of the situation that the world, including the United States, faces as we continue to deal with climate change. Many states in the US will continue to fight for the Paris Agreement until the government can do so itself.